The two-day South Indian International Movie Awards event (SIIMA 2015) concluded on Friday, 7th August, in Dubai. 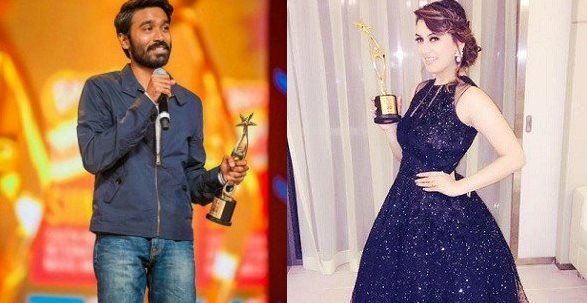 The winners of the SIIMA awards from the Tamil film industry were announced yesterday (Day 2 of the event). Karthi won the best actor (critics) award for his performance in the critically-acclaimed film 'Madras', while Dhanush and Amy Jackson won the 'Pride of South Indian Cinema' and 'Stylish Actress of South India' respectively. 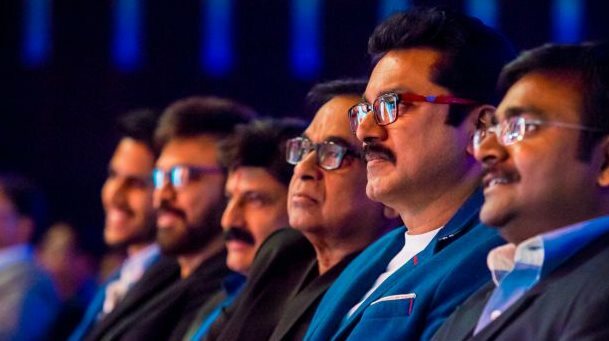 SIIMA Awards Details : South Indian International Movie Awards, also known as the SIIMA Awards rewards the artistic and technical achievements of the South Indian film industry. The Award candidates are nominated by a jury of senior artists and professionals and voted for by public polling. SIIMA 2015 : 4th South Indian International Movie Awards held at Dubai on August 6th and 7th. The celebrities of south india has been participated in this event. Award ceremony venue – Dubai World Trade Centre.